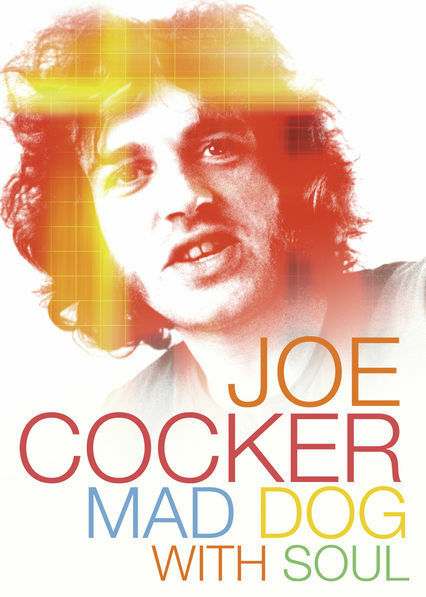 Although it is only available at the present time via streaming on Netflix, the new documentary Joe Cocker: Mad Dog With Soul, which premiered on April 1, 2017, is well worth catching however you can. The 90-minute film, written and directed by John Edgington, follows the story of the late British soul-rock legend from his childhood in Sheffield through his meteoric rise following his Woodstock appearance and onward into a long up-and-down career that ended with Cocker’s death in 2014 at age 70. The documentary features numerous brief interview clips of Cocker from throughout the years and the usual commentary from friends, family and fans. Among the latter is one Billy Joel from Long Island, who tells of making his way to Woodstock specifically to see Cocker and reads a letter he wrote to the Rock and Roll Hall of Fame expressing his desire that the singer be inducted into the institution (as of this year, that still hasn’t happened). Randy Newman, Rita Coolidge and Jimmy Webb are also among the admirers who tout Cocker’s unique interpretive skills; music critic Ben Fong-Torres and producer Glyn Johns weigh in on Cocker’s strengths and uniqueness as an artist. The film doesn’t downplay Cocker’s descent into drug and alcohol abuse. There are plenty of stories of his increasing unreliability in the recording studio and onstage; that he was a mess is never in question. Former bandmate Chris Stainton, Cocker’s brother Vic and the singer’s wife of 38 years, Pam Cocker, relate heartbreaking tales of their inability to curb Cocker’s tendency to overdo it with the substances. Fong-Torres recalls Cocker downing a six-pack of beer before even taking the stage one night. Although Cocker did eventually attain sobriety at times, and had become something of a homebody in his later years with Pam, tending their Colorado garden and hiking in the mountains, the drink was never completely gone from the picture. Nor was the smoking, and when Cocker was diagnosed with lung cancer, no one expressed much surprise. Of course the film includes an abundance of performance clips—there are several versions of “With a Little Help From My Friends” alone, as well as “The Letter,” “Delta Lady,” “Feelin’ Alright” and the later hits “You Are So Beautiful” and “Up Where We Belong,” the 1982 “comeback” duet with Jennifer Warnes that gave Cocker his only U.S. #1 single. The landmark Mad Dogs & Englishmen era with Leon Russell and dozens of others on hand—the biggest rock tour mounted to its time—is given a solid exposition, and mentions are made of well-received gigs Cocker played late in his career, including a historic event in East Berlin and an appearance at the Queen’s Golden Jubilee, where he was joined onstage by Brian May, Paul McCartney, Phil Collins, Rod Stewart and others. 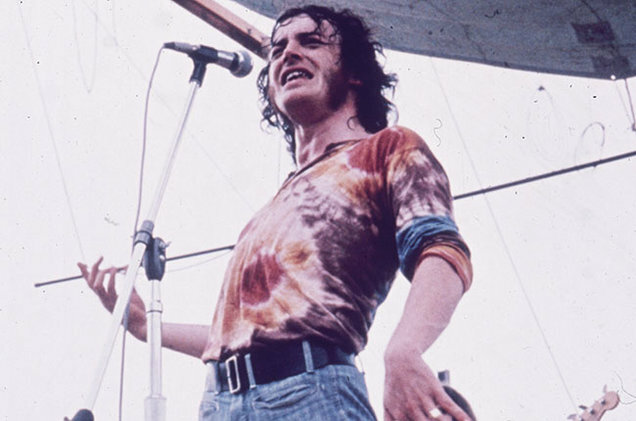 One after the other, the interview subjects note what a sweet guy Joe Cocker was, even as his own personal demons got the best of him and made him toxic to promoters and record execs (A&M Records co-founder Jerry Moss has a few choice anecdotes of his own, as does manager Michael Lang, the Woodstock impresario). In the end that unchecked goodness actually helped do Cocker in—it’s noted that every time someone offered him a drink or a drug he took it without thinking twice about it; he was incapable of saying no. Cocker had no filter, no sense of enough being enough. That he lived way past the date that his body should have given in is undeniable yet, remarkably, he never lost that quality in his voice that made him distinguishable from all others. Mad Dog With Soul is a must-see rock doc, and hopefully it will go into wider distribution once Netflix has finished its exclusive airing. Great review, can’t wait to see the doc. Cocker was undeniably a major icon of the counterculture era. His voice and visage conveyed the sixties sense of abandon in spellbinding performances. Cocker’ s sound a mix of tenderness and rawness. Thanks for alerting us to yet another great Netflix production. Great review, Jeff. Met Michael Lang on a Boston shuttle decades ago–told me he was managing Joe. I really hope this gets widespread release. Another travesty of the rock n roll hall of fame..how can he not be in? The only time I saw him was at The Arms concert at MSG when I was really young but he was a gem at the show and in good company with Clapton, Beck, Page and so many other incredible musicians. Looking forward to seeing this film! Sorry, not a great documentary. It’s not Woodstock or MDE. It’s about the man. I first saw Joe at the midnight show in Melbourne in 197. He was deported the next day. Iv been a fan for many, many years. I have seen Joe Cocker three times, Once in the Seventies when he was so drunk, he almost fell off the stage, and twice in his later years, he never failed to put on a great show. The guy could sing with such passion. Defiantly belongs in the Rock and Roll Hall of Fame.